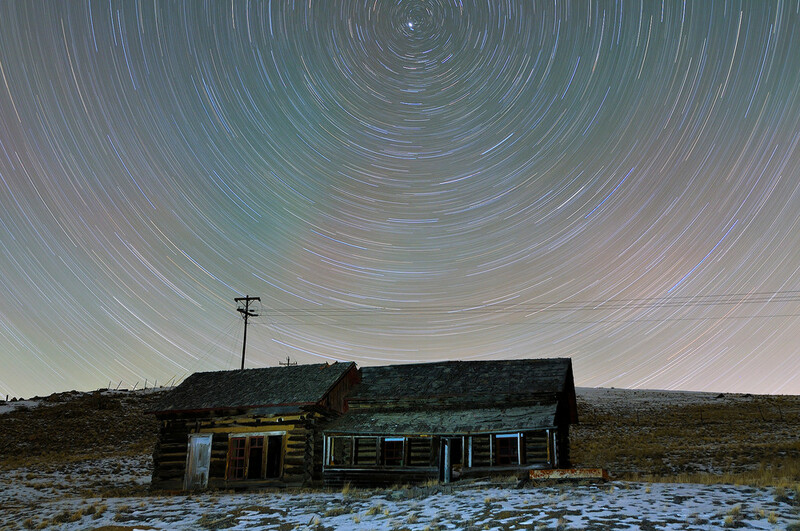 In this hour long exposure, the night sky revolves around the North Star above the Wright Homestead in Jefferson, Colorado. This cabin was originally constructed in 1879 along the Tarryall Road in the large valley known as South Park. Purchase this photograph as a fine art print on paper, canvas, metal, or acrylic.